Sometimes the numbers seem impossibly large. Around 8.5 million people need assistance in northeast Nigeria, including 1.7 million forced from their homes. Language diversity makes it harder for them to communicate with aid workers. There are over 500 languages in Nigeria, 28 in conflict-torn Borno State, and seven major dialects in Hausa alone. Maybe it’s because the complexity seems too great that the humanitarian community has largely limited its communication efforts to just two languages: Hausa and Kanuri. But how many people are being excluded as a result? In 2017, when Translators without Borders (TWB) first highlighted language barriers affecting the emergency response, many humanitarians were overwhelmed by the communication challenge. They were also worried that it was hampering their ability to support those in need. TWB set about bridging the language gap. In the past year we have built up the evidence and capacity to respond to the scale of the challenge. Watch our video blog to see why it’s important when scaling language support to ensure the services fit the needs of specific communities. The first step was to establish which languages crisis-affected people speak and understand. So, we worked with the International Organization for Migration (IOM) to include language questions in their regular surveys. We then used the findings to generate an interactive Language and Communications Dashboard. Aid workers can click on a location to compare the primary languages of internally displaced people with the main language of humanitarian responders. What they find is often a mismatch: 38 percent of internally displaced people are not receiving information in their mother tongue. Over half the sites where the main language is Marghi report a serious lack of access to information. To turn that information into a basis for action, we needed to know more. We refined and applied our comprehension testing methodology to gather more evidence of the best way to communicate. We confirmed that the vast majority of people want information in their own language. We discovered that gender and education level are key to understanding content in a second language or in writing. To reach vulnerable women, many of them uneducated, humanitarians need to focus on audio communication in a wider range of local languages. They should supplement that with visual messages, comprised of simple written information in Hausa or Kanuri at a minimum, with a lot of supporting graphics. People can refer to those visual messages later when the memory of the audio content fades. Our next step was to build capacity to support that combination of oral and written communication. We developed a course in the basics of humanitarian interpreting for low-literacy contexts. 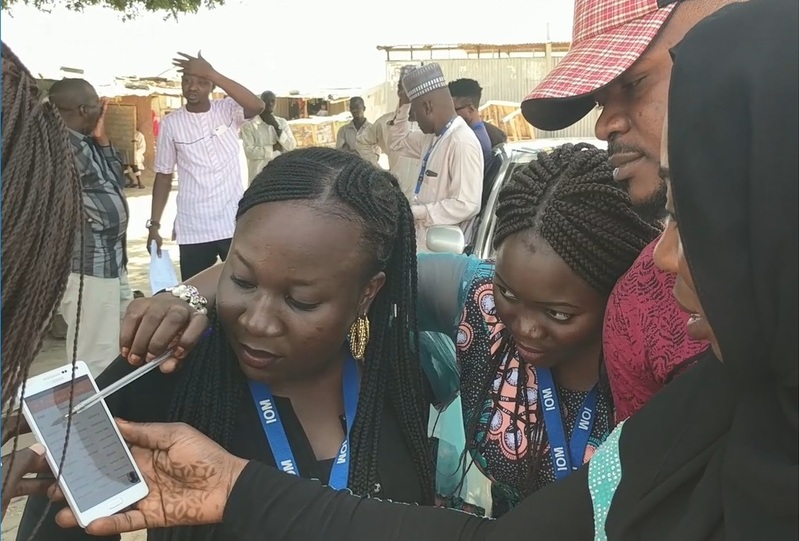 More than 100 staff members of aid organizations and government departments have so far completed the training to facilitate face-to-face communication. To translate written humanitarian content we needed in-house expertise. We identified five local languages which, according to our data, provide the best communication coverage. For each language we assigned an in-house team leader. Their role is to build networks of translators and review their work to improve quality over time. They also support research to identify problematic terms and identify the most effective translation of those terms. That research is refining our understanding of what constitutes a ‘good’ translation. To communicate across variations in dialect, mother tongue, and education level, a translation must be clear and simple. Clarity for the widest possible audience is our measure of quality here. See our efforts in action by watching our latest video from the field. Frontline aid organizations are increasingly seeing the value of understanding and responding to multilingual communication needs. The Danish Demining Group invited us to train their teams to do comprehension testing. REACH and the World Food Programme are expanding the data by including questions on language and communication in their surveys. Organizations such as the Norwegian Refugee Council and REACH have also collaborated on efforts to avoid language barriers skewing needs analysis. We have worked together on translating surveys into local languages, training enumerators in language awareness, and developing multilingual glossaries of key terms to improve data accuracy. Collaboration is also improving accountability. IOM is working with us to open its feedback mechanisms to minority language speakers. Solidarités and others are helping test the impact of providing the rules on sexual exploitation and abuse in plain English and in local languages. As we build the data and capacity to support communication in the languages of those affected, these partnerships are scaling up the reach of that support. 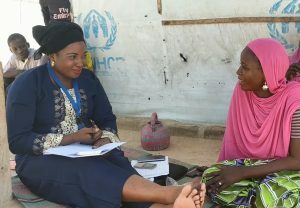 Communicating in five languages can get mother tongue information to more than half a million displaced people who currently lack it. 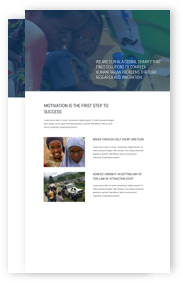 With backing from Elrha’s Humanitarian Innovation Fund and ECHO, TWB and its partners can start to win the numbers game.